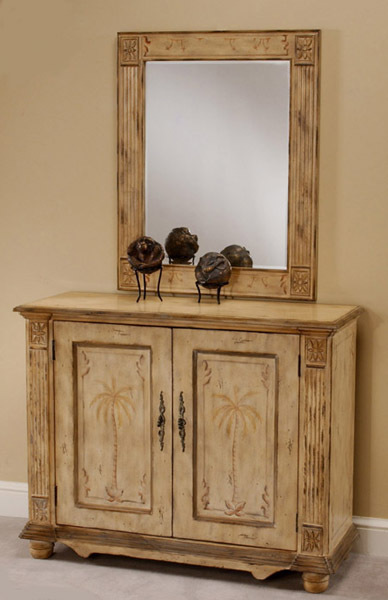 Description: The hand painted palms add to the overall relaxed design. Open the two doors to reveal a generous storage area with one fixed shelf. Features brass finished intricate hardware and raised borders on the door fronts. Medallion like flower hand carvings add to the look. Additional features include hand carved columns and bun feet.